We are a leading Manufacturer of pvc insulated flexible copper wire from Mumbai, India. PVC Insulated Flexible Copper Wire is used for transmission of low-voltage signals, electric motors, DC power transformers, panel boards, battery cables, etc. 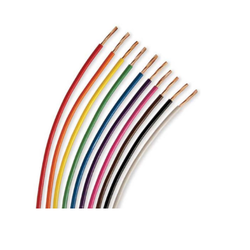 The characteristics of the flexible cable manufactured by us include good flexibility, adequate voltage resistance, and manufacturing as per quality standards.